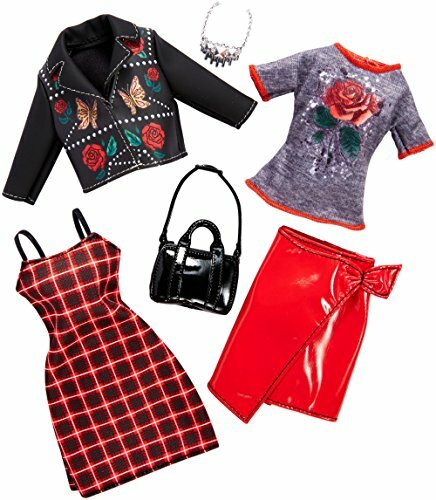 Each of these fashion packs for Barbie doll (sold separately) includes two versatile looks inspired by real fashion trends, along with two accessories to mix and match. With modern silhouettes, pretty colors and stylish accents, the clothing is designed for storytelling fun. Options range from cool pants, skirts and tops to pretty party dresses -- and everything in between. Accessories may include fashion items like purses, jewelry, headbands or sunglasses. Fashions fit most Barbie dolls.